The Witcher is coming to Netflix, and CD Projekt Red is "looking forward to watching"
Surprise amazo news: The Witcher is coming to Netflix as a TV show. 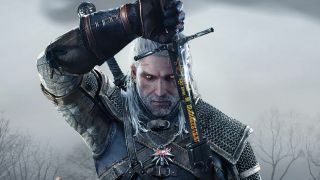 The series will be based on Polish writer Andrzej Sapkowski books, rather than the game but I'm sure right now everyone's got CD Projekt Red's game firmly in their mind. Don't get your hopes up for any crossover though, CD Projekt Red seem excited but, by the sounds of things, isn't uninvolved. Speaking to Radek Grabowski from the studio, I was told that the team "wish this project all the best and are looking forward to watching the series on Netflix!" Executive producers for the show Sean Daniel and Jason Brown talk about how the original stories “follow an unconventional family that comes together to fight for truth in a dangerous world.” They also describe The Witcher's characters as "original, funny and constantly surprising," suggesting we'll see a focus on ensemble as the games - so Triss, Yennefer, Dandelion etc - but potentially with less of a focus on a playable Geralt. Casting for that lot is going to be amazing, so throw your suggestions into the comments. I'm going to call Alexander Skarsgård now for Geralt.